Paris is special to pretty much everyone who visits: it’s a magical, beautiful city, steeped in culture and history and charm. But I also have a sentimental attachment to the place – it’s where Mr Fluff proposed six years ago, behind Notre Dame cathedral on an unseasonably sunny November day. We’ve been back since, but most recently returned for our 4 year wedding anniversary, where we visited old favourites and discovered some new ones for the list. Our favourite area to stay is the Latin Quarter on the left bank (named for the common language of the professors at the Sorbonne), with its jumble of ethnic eateries, studenty shops, cafes and bars. 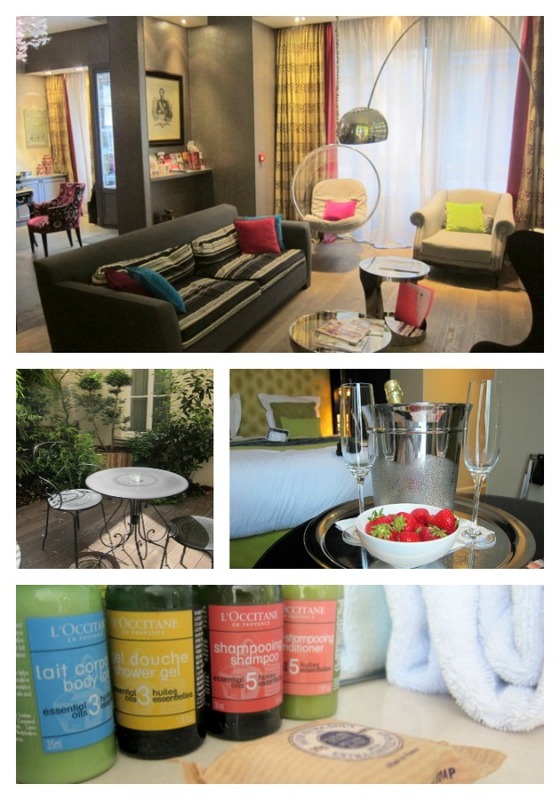 This time we chose Hotel Le Petit Paris, a lovely four-star boutique hotel on rue Saint Jacques, close to the Panthéon, Luxembourg Gardens and the Boulevard Saint-Germain. It was charming, within walking distance of everything we wanted to see, and reasonably priced at around €200 a night (check out my little Vine tour for more). The L'Occitane goodies in the bathroom were an added bonus! With time for one museum visit, we chose Musee d’Orsay, housed in a former railway station, for its Van Gogh and Monet collections (the Musee de l’Orangerie is next on my list). 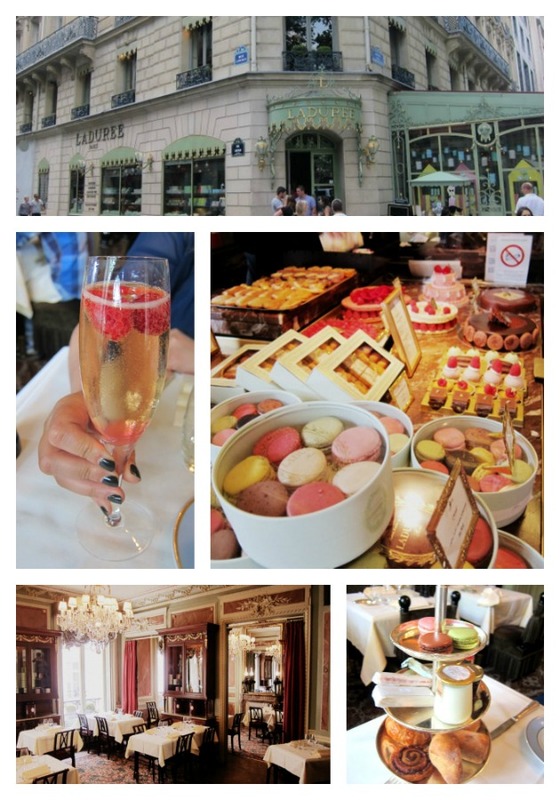 You could spend a day here but we restricted ourselves to a morning, followed by lunch at the elegantly beautiful Laduree tea-rooms on the Champs Elysee (I had the brunch; it would easily have fed us both) and a teeny tiny spot of shopping (check out my Sephora purchase). Have the Kir Laduree - champagne with rose syrup - delicious! 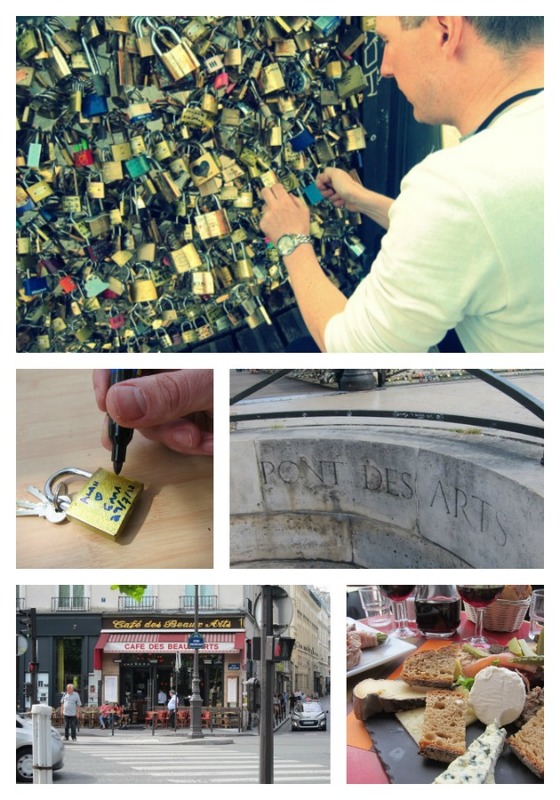 Paris is perfect for pottering, and we also did plenty of that: strolling along the Seine, wandering around the cobbled streets of Montmartre, enjoying an ice-cream and a wee sit-down in the Luxembourg Gardens. The weather was wonderful and I would urge you to squeeze in all three. Evenings were all about dinner and drinks, and we stayed close to Notre Dame both nights. Unashamedly romantic, Au Vieux Paris is located on the Ile de la Cite, right around the corner from the cathedral, and dates back to 1512. The uneven stone floors, flocked scarlet wallpaper and antique furniture all add character but the food is reason enough to stop by; the menu features traditional French classics including foie gras and French apple tart. This was our second visit, the first being immediately after we got engaged. I would also recommend the more modern bistro, Le Tournebievre (make a reservation, it’s packed and attracts queues), which was very reasonably priced for food that was pretty near flawless. My steak-frites were divine. After dinner we whiled away the night at the outside tables of various cafes, where I tried to work my way through the cocktail lists. Following Thelma’s excellent advice we did seek out Le Caveau des Oubliettes for live jazz, but were scared off by a dodgy rock covers band...maybe next time! Unlike other visits, this time I felt I really got to do and see much of the things that have been on my list since forever. Tell me, what are your must-see's in the City of Lights? Sounds like a perfect weekend! The pics are beautiful. Happy 4th anniversary Emma. I've done all those sites in Paris & like you I adore the Latin quarter. Your hotel looked lovely. 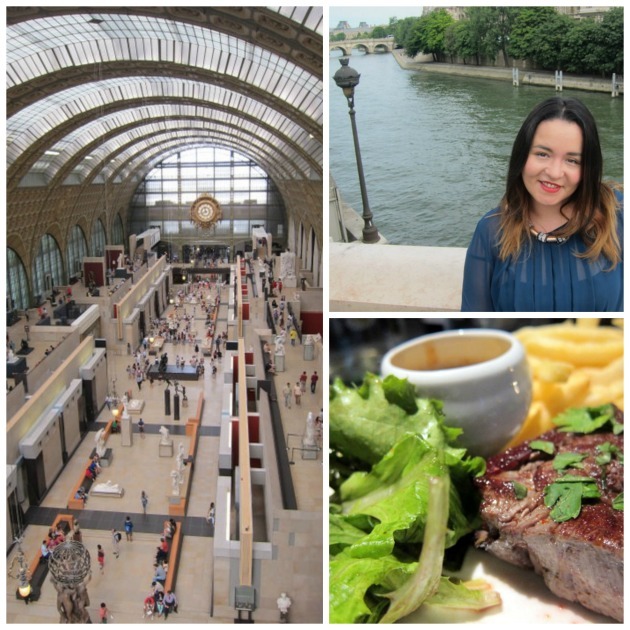 I lived in Paris for ten years! And my parents were living there until a couple of months ago (just across the road from Notre Dame) so I know all these places. I love Paris! You make me dream Emma! Happy anniversary! Paris is a beautiful city and just love all the photos! Beautiful photos. I want to visit Paris one day! Happy Anniversary Emma and Mr. FF! What an amazing trip! I want to go back to Paris some day soon-I was only there for 2.5 days and it wasn't enough! Emma, you look like you are had a blast! You look fabulous doll! So glad you two got back there. How romantic! And the fact that he proposed there was awesome. Love where you stayed. Love the Lauduree pic. What a romantic and fabulous time.